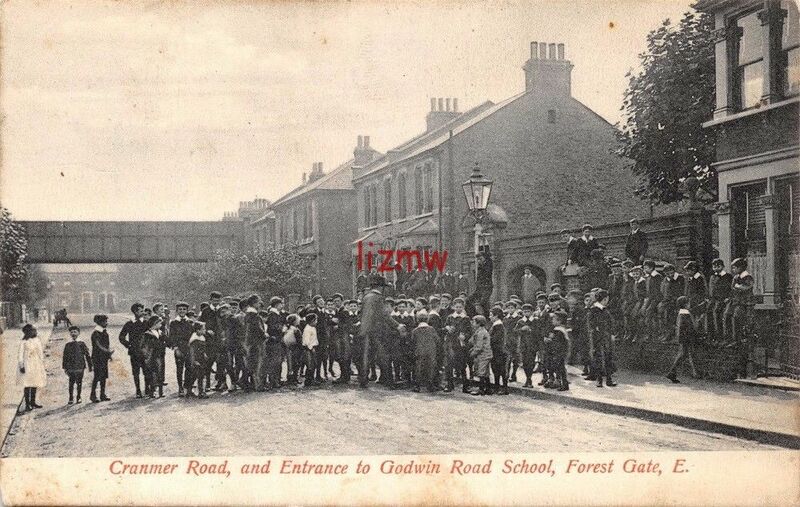 This is the second half of a two part photographic essay of life in Edwardian Forest Gate. As the previous article indicated, the Edwardian era - essentially the first decade of the twentieth century - co-incided with a boom in the production of postcards; and today we are the beneficiaries. Many of them survive, which makes it is possible to produce a fairly detailed photographic account of many aspects of contemporaneous life, for the first time. The first post featured a range of fairly standard shots of roads at the time - mainly bereft of traffic, resplendent with trees and showing glimpses of Edwardian dress worn by the passers-by. Here, we feature a number of themes of community life. The photos in each are interesting in themselves, but also illustrate changing times, as the copy below illustrates. 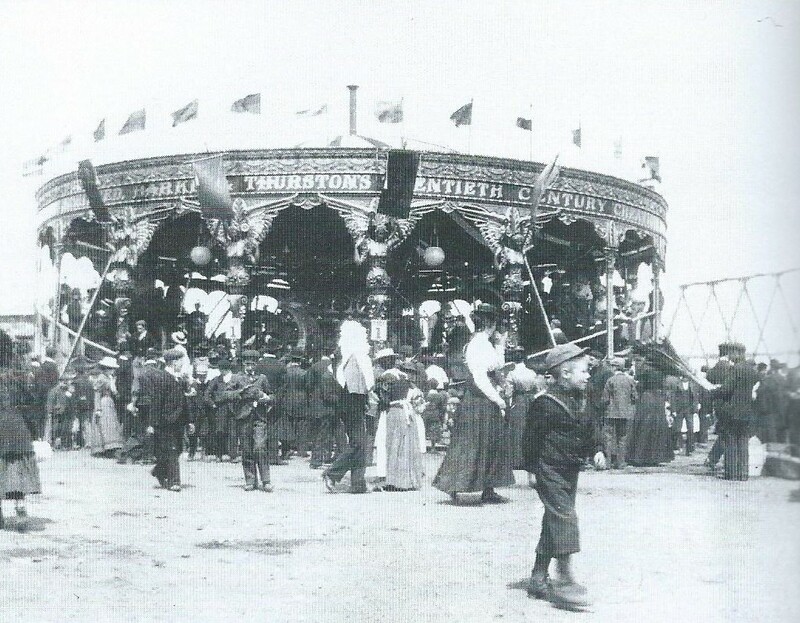 Although economic times were tough for much of the Edwardian period, widespread popular entertainment developed significantly. 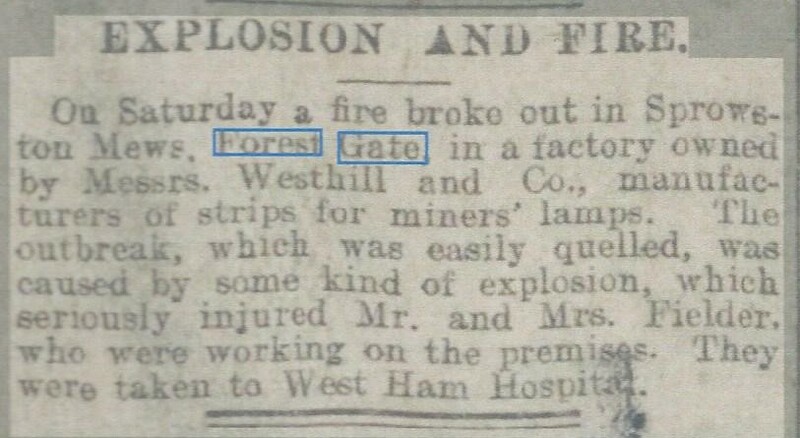 This was supported by the emergence of a significant lower middle class, with some surplus income - and Forest Gate's population was a prime example of this; and also the widespread adoption of a five, or five and a half day, working week - which permitted time for leisure. 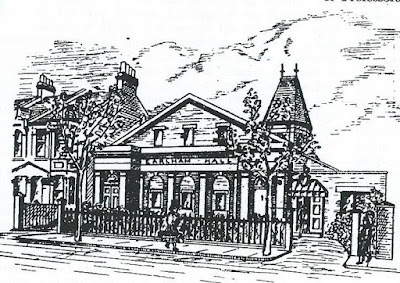 So, locally, concerts were regularly held in Earlham Hall, in Earlham Grove, and the Forest Gate Public Hall (later a cinema, theatre, skating rink, Upper Cut club etc) was opened for public entertainment for the first time (1902), at the every start of the Edwardian era. 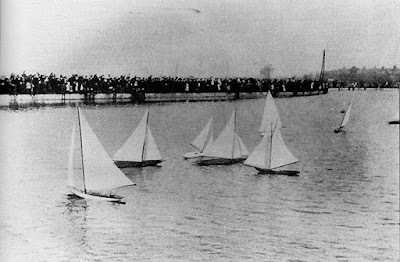 Wanstead Flats attracted hundreds of people, with a bit of cash, for perhaps the first time. 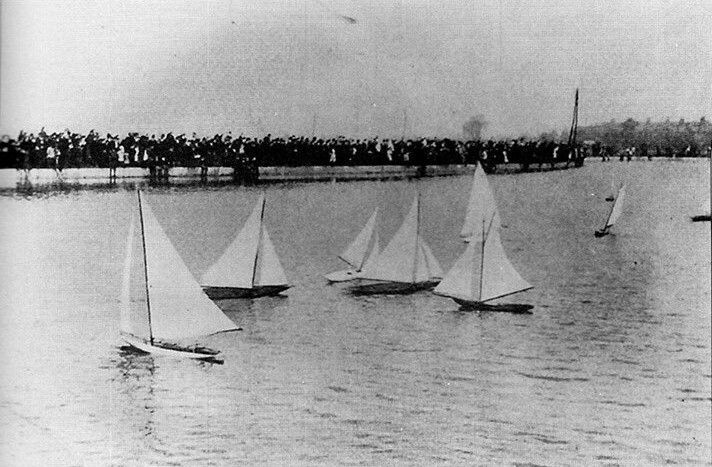 So, below, we show fairs, a cinema and model yacht racing attended by huge crowds, on the Flats during the first decade of the twentieth century. Wanstead Flats was not the only very pleasant open space, locally, for a stroll - as the photo of West Ham park in 1904 indicates. 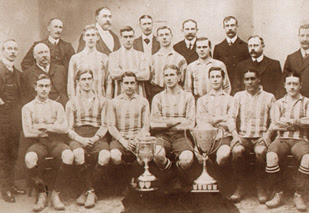 Forest Gate could claim considerable sporting success at this time too, with Clapton FC winning the Amateur Cup in 1909. 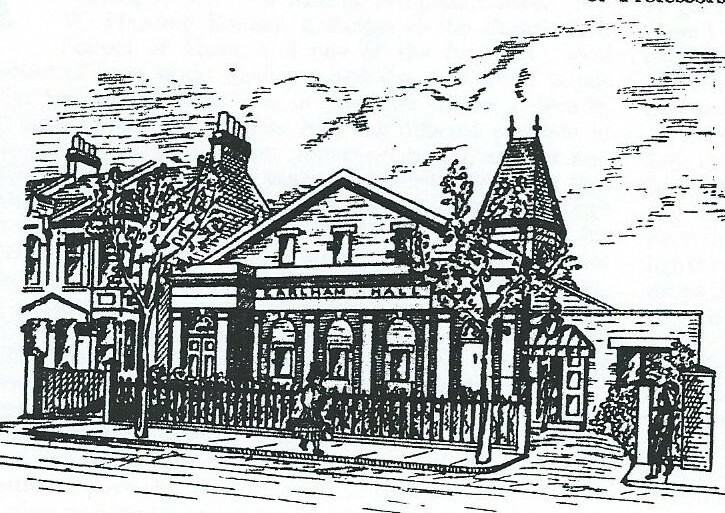 The club itself, of course, was tucked behind the famous Old Spotted Dog, and the pleasant painting, below, shows that pub, to good effect, in the Edwardian era. 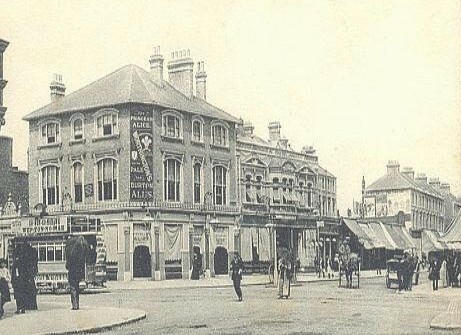 The pub, itself, was in competition with probably twenty other pubs and alehouses in the district, at the time - the largest and most significant of them being the Princess Alice, located less than half a mile away. 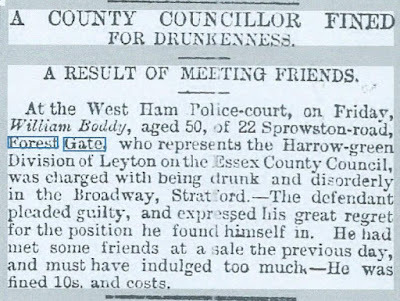 Forest Gate had two MPs during the Edwardian era; one Conservative (Edward Gray - until 1905), and one Liberal (CFG Masterman, 1905 - 1910). Gray was followed by another Liberal posh boy: Baron de Forest (1911 - 1918). 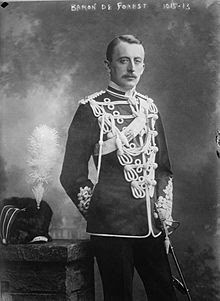 His election was provoked by the death of Edward V11 - so in many senses, he represented the entrails of Edwardian England. 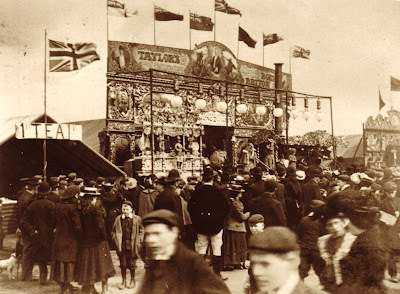 Profound social changes during this time, notably the Suffragette movement; and then the war effort by large numbers of working class people, meant that the right to vote could no longer be restricted to reasonably affluent males after World War 1. The franchise was extended immediately after the war to embrace almost all men over 21 and women over 30. The Edwardian era, then, was very much a watershed for politics in Britain. 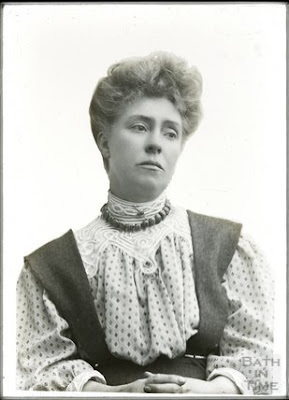 As far as Forest Gate was concerned, activities by the likes of local suffragette, Minnie Baldock (see here and here for details)paved the way for the future votes for women. 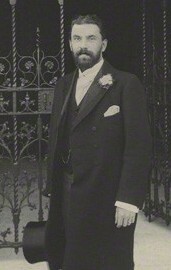 And posh white men were no longer parachuted in to represent non-labour interests in a largely working class district. 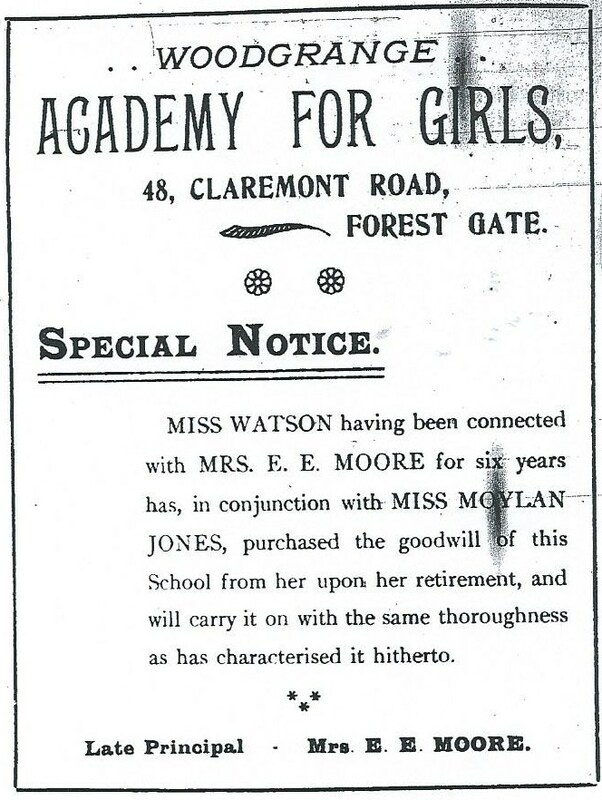 The Edwardian era was a transformation time for education, too. 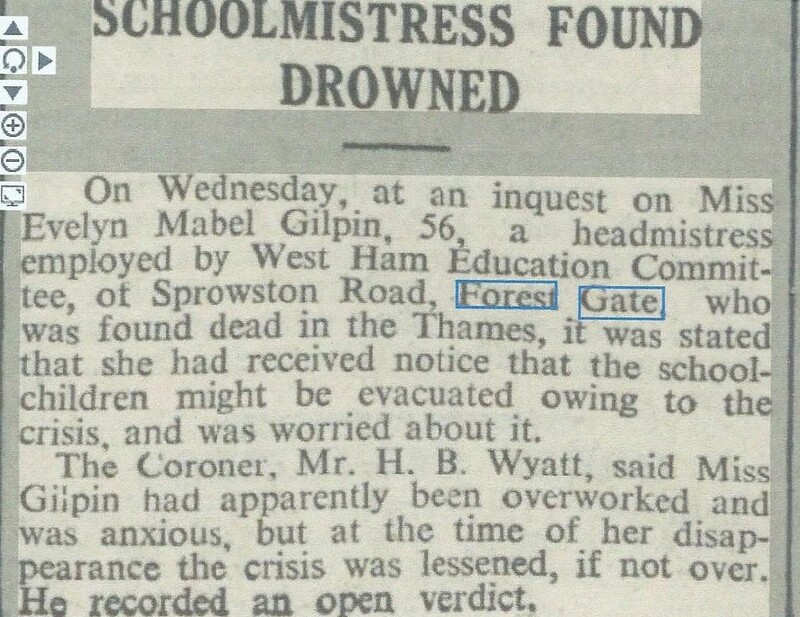 The 1902 Education Act meant that the local authority (West Ham Council, then) took over responsibility for education for the first time. 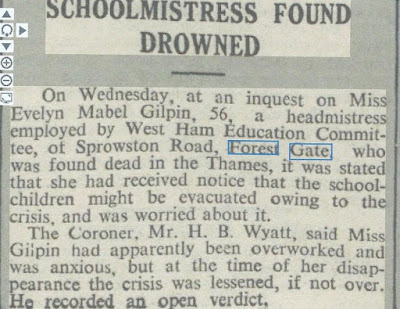 Local authorities began to set higher standards and drive out some of the old "Dame" schools - that were often little more than child minding agencies. 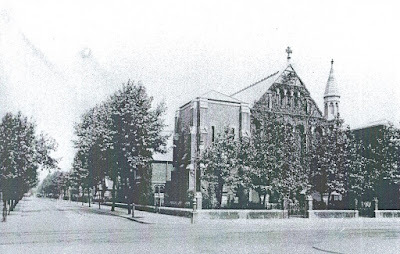 See here for our history of early formal education in Forest Gate, and here for a fuller account of the history of St Angela's. 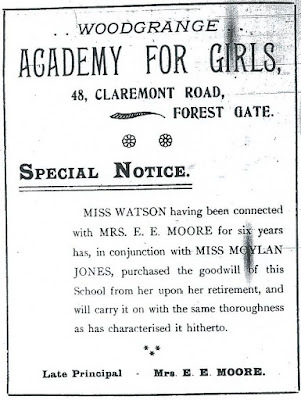 Below we show and advert from 1900 for the sale of one of the old Dame schools, on Claremont Road - quite how long it survived the establishment of the education authority, we do not know. 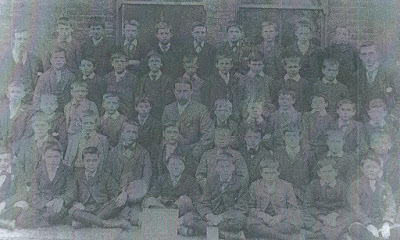 There is also a photograph from Odessa school - one of the old Board schools, soon to become council-controlled, also around 1900 - showing, by today's standards, gross over crowding. 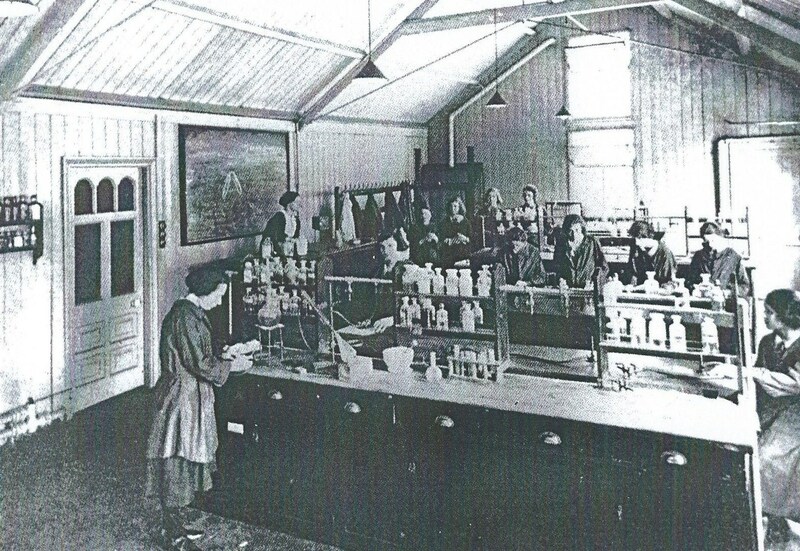 St Angela's, in comparison, was well provided for, in terms of having a science lab (in 1907!) 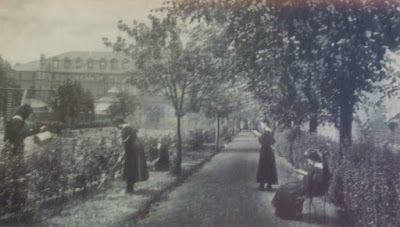 and a delightful garden (1910). 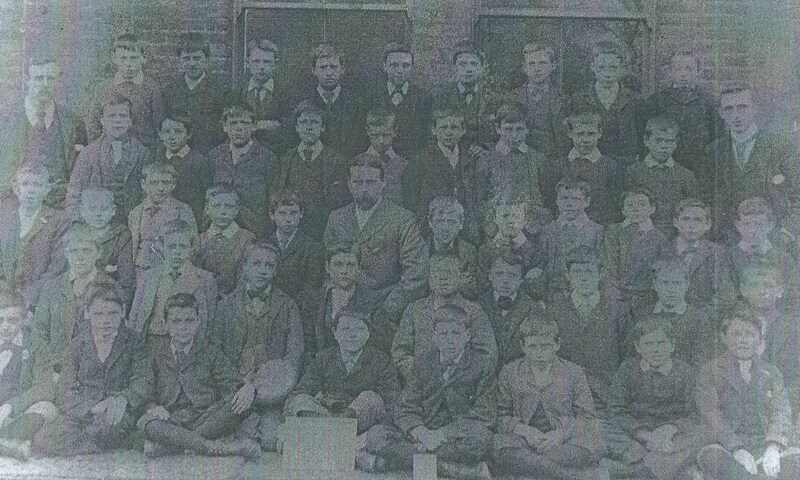 to conditions at the Board school, above. Edwardian Forest Gate was, like most of the country, nominally, at least a Christian district, with a small, but important, Jewish community (for a brief history of the community in Forest Gate, see here). Other faiths were barely represented in the area. 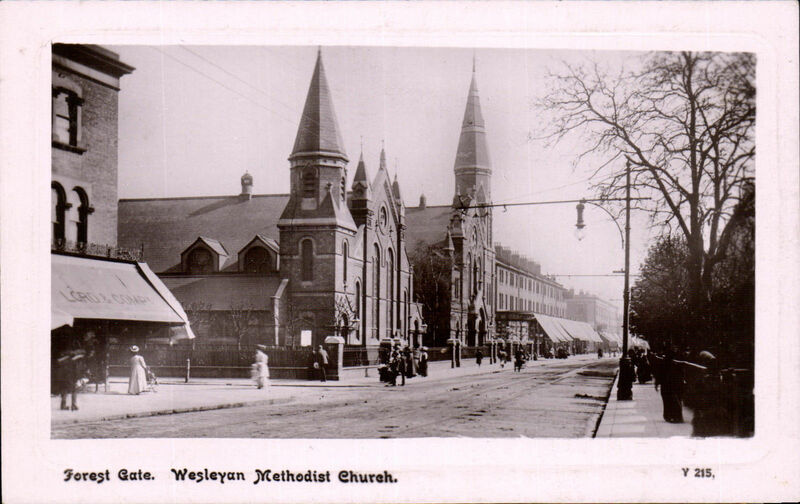 We will return to the history church life in the area in future posts, but suffice to say that in the second half of the nineteenth century all the major denominations of the Christian church had firmly established themselves, with large, commanding churches in the area. 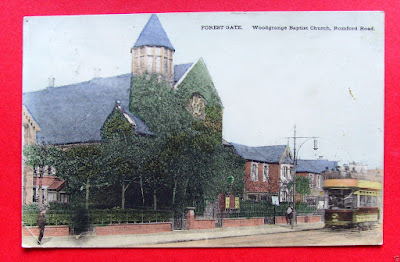 A wander around Forest Gate in 1910 would have provided convincing evidence that it was a thriving Christian community, with a strong Jewish presence, as the following, contemporary photos indicate. 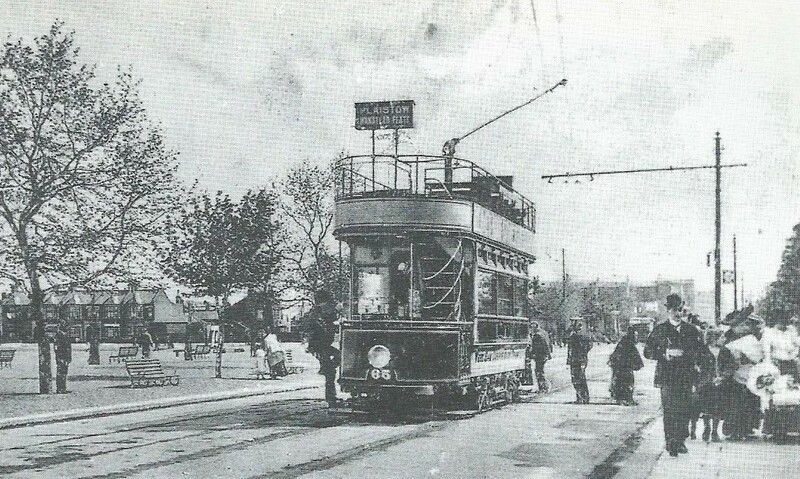 Trains and trams were, by the Edwardian era, long-established forms of transport, serving what had rapidly become the commuter suburb of Forest Gate. We have covered their histories, here and here, respectively on this blog, previously. 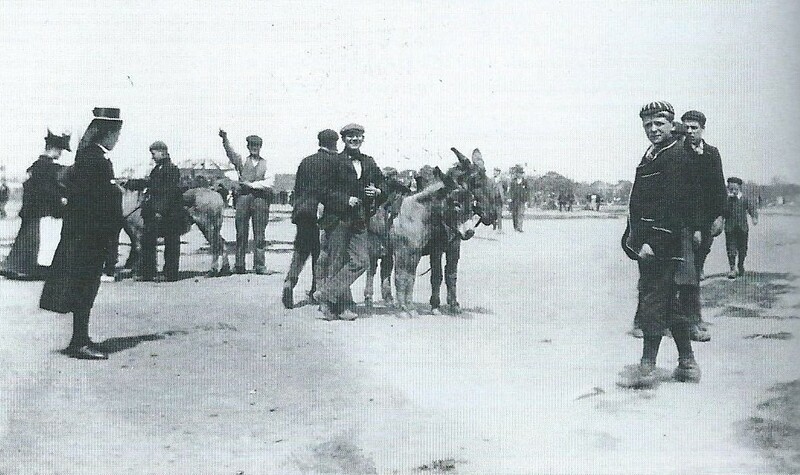 Below are a few photos of them, in action, in the area in the first decade of the twentieth century. 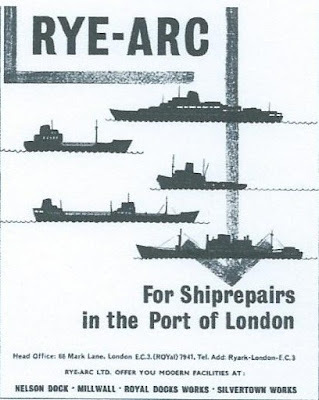 They continued to dominate local transport for the next couple of decades. 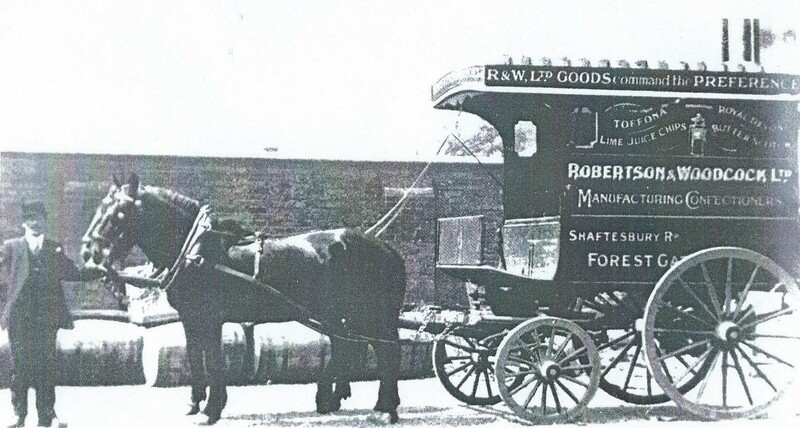 One form of transport - commercial - was facing huge changes, however. 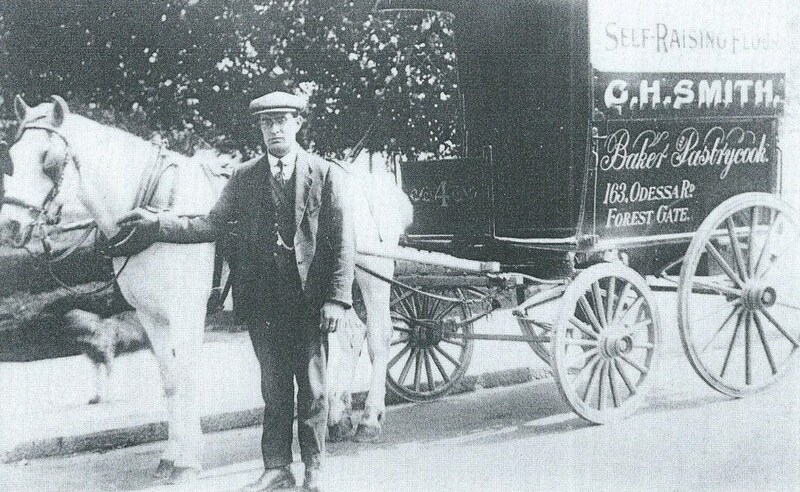 Motorised commercial vehicles, supplying local shops and residents became the norm in Britain by the 1930's. 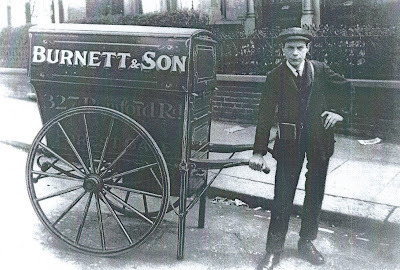 Just two decades earlier, however, hand carts were very much in existence and evident as the main vehicles for local traders. They were, however, facing, unanticipated, extinction during the Edwardian era. 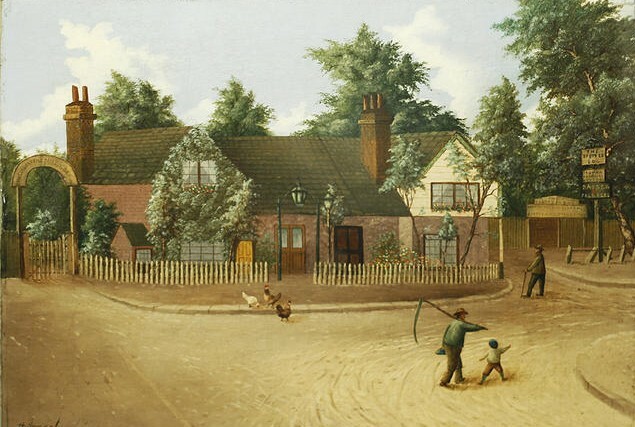 Below, we add a few of these, as they would have been very much part of the local street scene, which would, of course have been almost totally devoid of cars at the time. 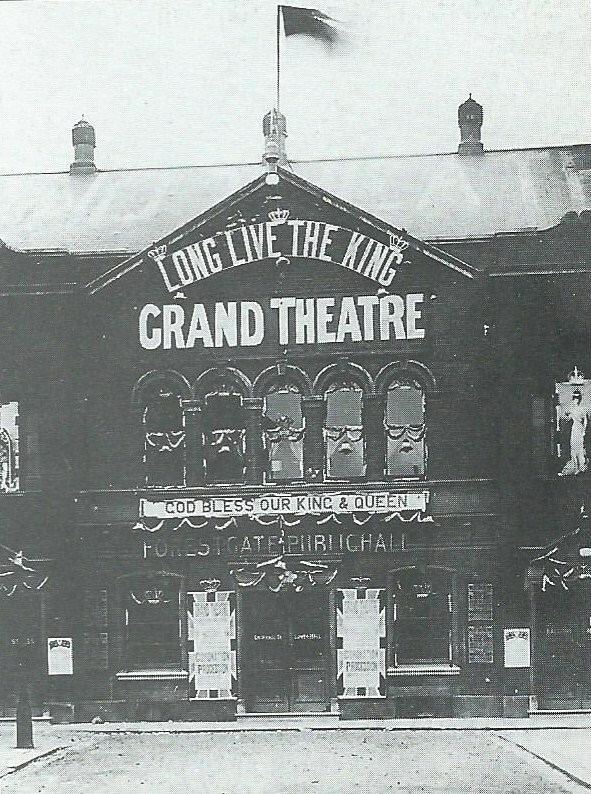 This is the seventh in an occasional series of articles by Forest Gate resident, Peter Williams, who specialises in Newham housing, maps and local history. In each he looks, in detail, at the history of particular streets in Forest Gate. 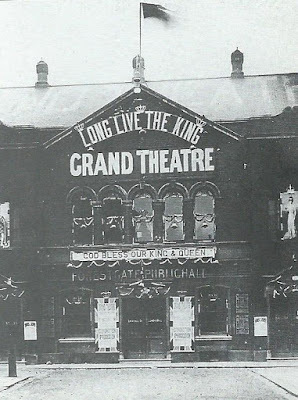 Names associated with the City of Norwich are common in Forest Gate because the old land owing families like the Gurneys and Frys originated in Norfolk. Sprowston is part of Norwich. 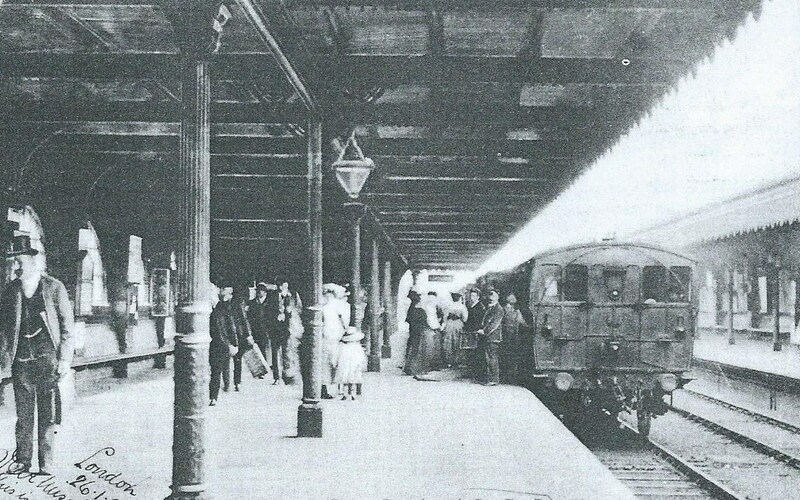 The Eastern Counties railway arrived in the late 1830's and started to open the area up to development. 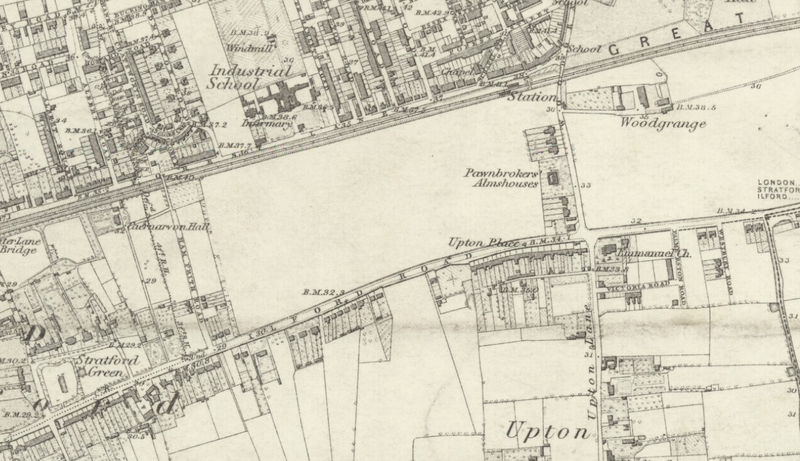 However you can see on the map above that the area round Sprowston Road was undeveloped in the mid 1860's. It is to the left or west of the Pawnbrokers Almshouses (see here for history of the almshouses). 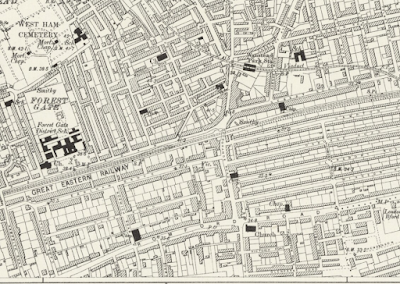 On this map the Almshouses have gone, and in this 30 year period hundreds of houses were built, including Hamfrith, Atherton, Norwich, Sprowston, and Clova Roads, and Earlham Grove, which were part of the Gurney estate (c. 1870–90) ....and the north side of Romford Road. These houses, many of which survive, include detached, semi-detached, and terraced types. 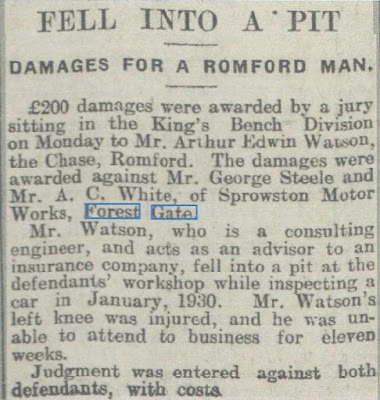 In Romford Road, where sites were no doubt more expensive, they are often three-storeyed. 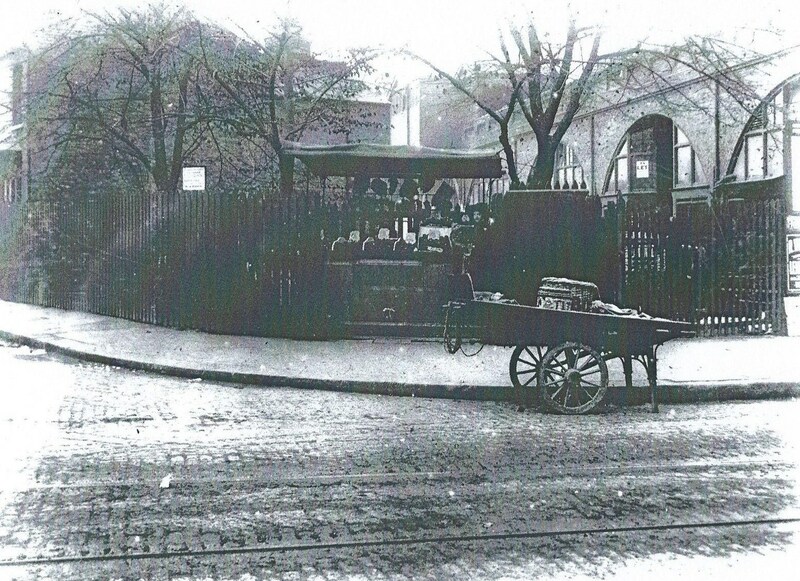 Some on the north side of that road had coach-houses in Atherton Mews and Sprowston Mews (see below). Many of the houses in Sprowston Road are very substantial and the late Victorians and Edwardians would have called them villas. They were aimed at solid professionals (solicitors; engineers; musicians; politicians; senior teachers), attracted by the excellent railway service to the City, nearby open space and the many good shops on Woodgrange Road. One of the most famous residents of the street was politician Tony Banks MP who lived at number 7 till the late 1990's, with his wife Sally Jones, a Newham Council social worker. Extra security was added to the house, because of possible threats, including alarms, grilles and external roller shutters, like you see in Germany. When the Channel Tunnel Rail link (CTRL) was built in the mid 1990's the tunnel passed directly under the houses, and he made various comments about the blight. For more on Tony Banks and his famous quotes and remarks, including those about the tunnel, see here. This is an example of one of many small blocks of flats built speculatively in Newham over recent years to a fairly low standard which has ended up in the private rented sector (PRS), not owner occupation. Space standards are minimal and the overall quality is not good, but there is an insatiable demand for renting. 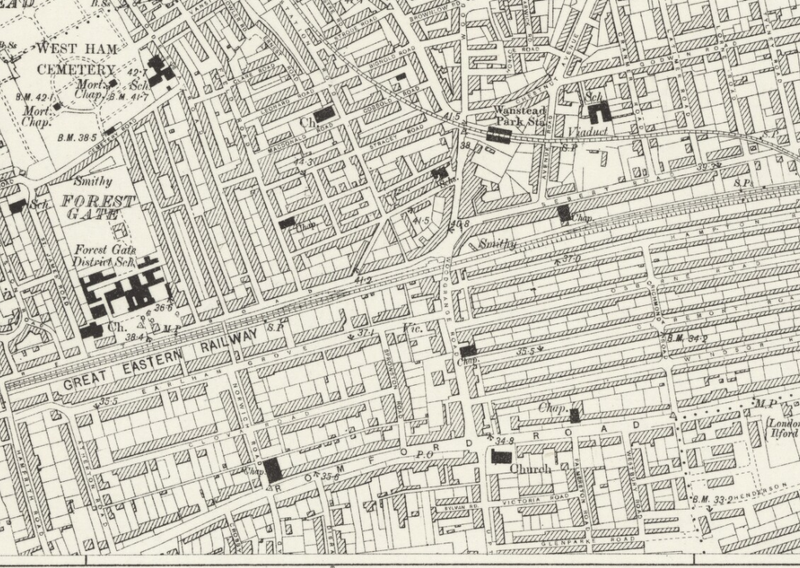 In 1991 census the PRS has about 20,000 dwellings in Newham and it was declining. By 2011 census this has risen to over 40,000 dwellings. Newham estimated in 2010 there were 4,000 landlords; in fact there are over 22,000, as revealed by the council’s pioneering landlord licensing scheme which requires every PRS property to get a licence from the council to operate. Many amateur landlords have one or two buy to let properties, effectively their personal pension. 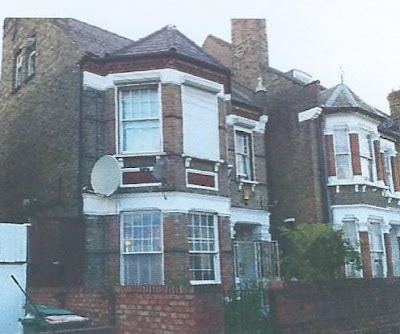 Over the years many of the large houses became run down and the landlords switched them to HMOs (House in Multiple Occupation, as the council call them). 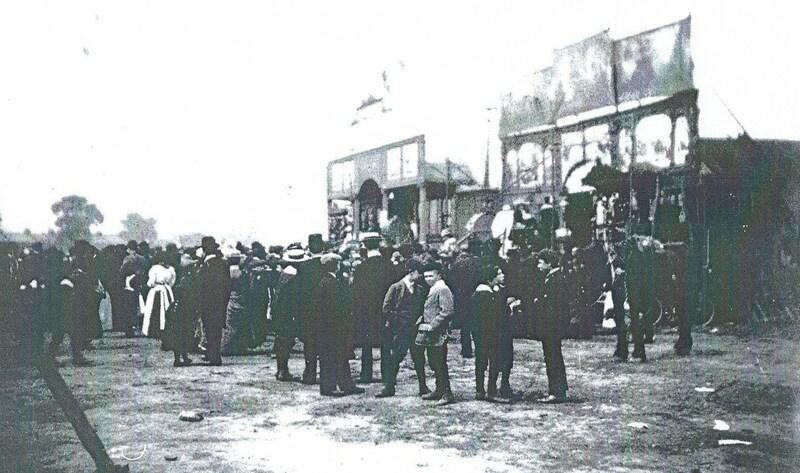 A number of the houses were homeless temporary accommodation. In other words, councils rented the property from a private landlord and then placed families that Newham has a duty to house in the accommodation. Some were divided into rooms. This particularly happened from the mid 1990s when councils became very short of accommodation as the Right to Buy, the boom in buy to let and the end of rent control in 1988 had a major effect on supply of affordable homes in London. Councils were not in a position to build homes and had to rely on housing associations. 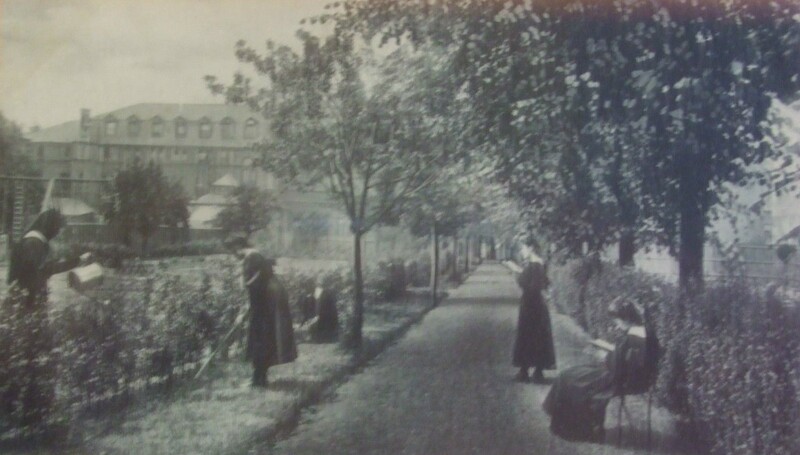 The council also had about 70 bedspaces in its own hostels like 136 Earlham Grove. The property crash of 1992-6 account for the low numbers in B&B during those years. Leasing fell when the property market recovered and B&B went up. This house, see photo, was purchased in 1959 by the Gradosielska family, who were instrumental in establishing community organisations for the first wave of post WW2 Polish immigrants (see here for details of the early days of the community). 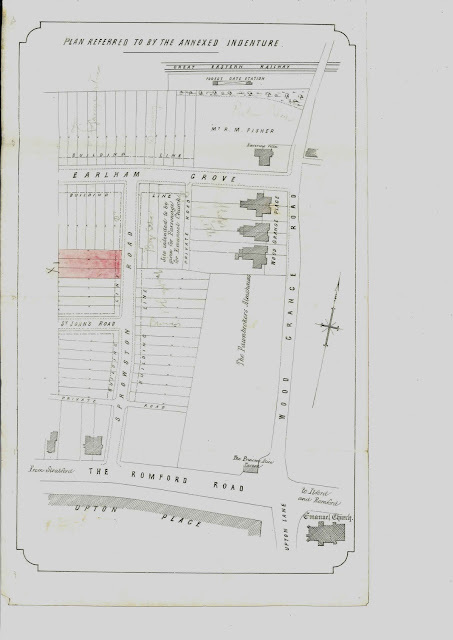 The interesting map, setting out the footprint of the property prior to construction in 1876, shows some interesting features on Woodgrane Road at the time, including the presence of the pawnbrokers almshouses, Woodgrange Place, Havering Villa and the location of the soon-to-be-built vicarage for nearby Emanuel church. It also shows the site for no 25, see below for details. Often these were used by other London boroughs, not Newham, as homeless temporary accommodation and conditions could be a concern for Newham's environmental health inspectors. 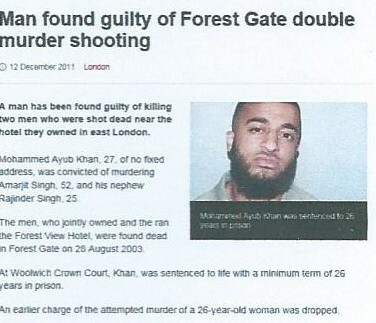 By the 1990s Newham had a number of policies in place to try to limit the impact. 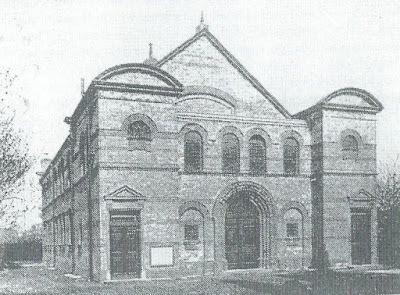 For example, under its planning policy there was a presumption that further hostel-type uses would not be allowed round Earlham Grove and the neighbouring streets as there were already children’s homes, hostels for single mums and young people as well as the homeless families’ accommodation. Passmore Urban Renewal, 1 of 5 pilot partnerships trialled by the then Labour government, formed between local housing associations and LBN, was registered in Nov 2000 with an office at 238 Romford (a property that became controversial for other reasons in 2015 when a Newham councillor was seen to be breaching licence conditions for an HMO he had established there without obtaining relevant permissions, see here). Its aim was to lead urban regeneration in Forest Gate within the HMO Registration and Single Regenerating Budget (SRB) whose boundaries were co-terminus, for example buying empty or badly managed private sector homes and making them available for either renting to key workers or sale. Funding was obtained from the government’s SRB or Single Regeneration Budget and New Deal for Communities or NDC money. Fuller details can be seen here. Later in the mid 2000's Newham Council formed a brand new housing association called Local Space with the sole aim of providing better quality homeless temporary accommodation. Newham handed over 450 occupied tower block flats as starting equity, the government put in £25m and there was a large commercial loan from the Bank of Canada secured against the equity and government money. 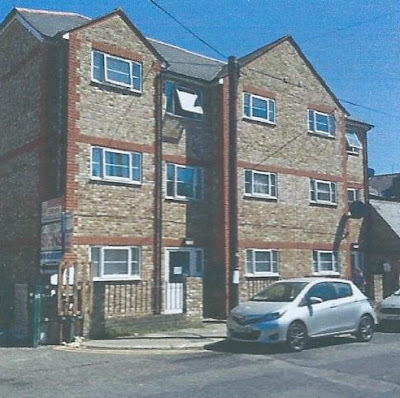 In the next few years Local Space was able to buy 1000 additional homes across east London as high quality homeless temporary accommodation for Newham at relatively affordable rents to the tenants. Local Space has been commended as an example of innovative good practice. Passmore assets later went to Local Space. See here. The 19th century Quaker philanthropists like the Frys and Gurneys would have approved on such public sector driven renewal at rents people can afford given their involvement in things like Cadbury’s Bourneville village trust in Birmingham, and Rowntree and Terry’s in York. The block of flats below at the corner of Sprowston and Earlham was developed by Columbus First Housing Association in the 1980s. The association was wound up soon after and became part of Circle 33 HA, themselves later absorbed in Circle Anglia. This reflects the rationalisation of the housing association movement, the absorption of small associations into larger and larger ones. Some now own 80-100,000 properties. L&Q, a local association, has 70,000 and massive cash reserves and now build homes without government grant, to avoid some of their constraints, for example forcing housing associations to develop homes for sale not rent. This flat emerged as an address of convenience for a bewildering collection of companies and investment trusts, based in international tax havens, earlier this year (a photo of the block it is in is above). These were revealed by the recent so-called Panama Papers, produced by the International Consortium of Investigative Journalists. The ICIJ published over 11 million documents obtained from Panama-based lawyers, which showed the use of tax havens on an industrial scale by citizens from around the world, assumed usually for tax evasion purposes (see here). It is difficult to know exactly what role the Spowston Road flat (picture) has, other than as an address of convenience for a complicated mish-mash of international wheelers and dealers. The following would appear to be the case, according to the Panama Papers. The address is associated with a Chinese citizen, Zhu You Ting. This person is a shareholder in a Hong Hong company, registered in 2006, called UP and UP Co Ltd. The address at which it was registered in Hong Kong is also the registered address of over 7,000 other companies. The other shareholder in UP and UP is a company called Mossfor Subscribers Ltd. This firm is a shareholder in over 4,000 other companies. The jurisdiction of UP and UP Co Ltd is Samoa. One of the reasons for using tax havens for international registration is that there are minimal demands on transparency from companies so registered. Thus, there are no publically available details of the activities, incomes, beneficiaries or taxes paid by UP and UP - anywhere. So: bewilderment. But it seems unlikely that anyone (or group or people) would resort to creating the complicated web of international jurisdictions and addresses of convenience, if they did not wish to hide activities, or evade taxation. By turns: fascinating and frustrating - like most of the Panama Papers! 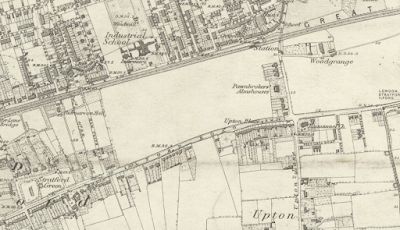 Situated in East London in the Borough of Newham is Sprowston Mews; a through road off Sprowston Road. The Mews contains 22 properties used for commercial purposes. It is located on the site of the original Mews, but has been redeveloped to a degree that it no longer contains any surviving Mews properties. The Mews is not part of a Conservation Area. 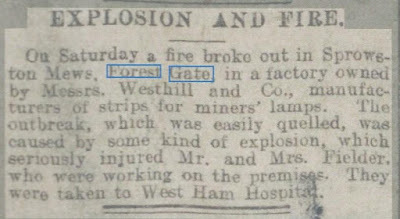 A high explosive bomb fell into Clova Road, just north of the Mews in World war 11 (see here, for details). 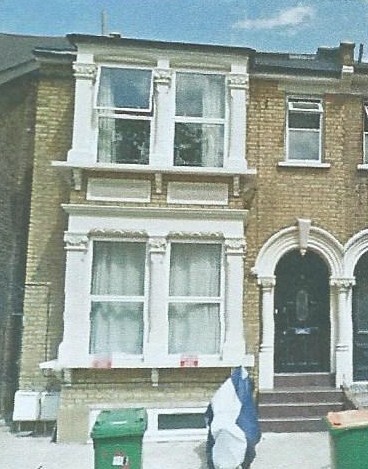 The properties have plain brick facades, surrounded a tarmacadam road surface. 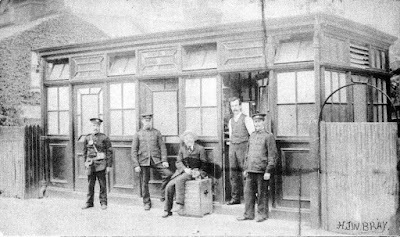 The original purpose of the Mews was to provide stable/coach house accommodation for the main houses on the surrounding streets and nowadays they are used primarily for commercial purposes. Before and since 2003 there have been a large amount of planning applications made for alterations to the properties within the Mews, the most notable thing being; the complete demolition of many properties and the erection of newer developments. Sprowston Mews is an unadopted lane which runs between Norwich Road and Sprowston Road. The lane is within a largely conservation area and the western entrance is adjacent to the listed former Congregational Church (currently Azhar Academy Girl's school - see here for details of English Heritage listing). Buildings are in various uses, mainly employment (particularly car repair) and open spaces relating to gardens of residential properties. The condition of the mews, buildings and land provide concerns relating to unauthorised uses of premises, pollution, noise, traffic congestion, fly-tipping, drainage and other anti-social behaviour issues. 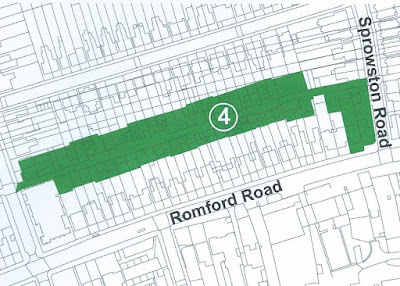 Sprowston Mews is an allocated site within the Newham UDP (development plan) (m2) as a mixed-use development including residential, live/work and employment uses suitable for a residential area. There is guidance provided in the Sprowston Mews Supplementary Planning Guidance (SPG). SPD is no longer current policy). Interestingly a number of years ago a group of council officials recommended pursuing a Compulsory Purchase Order (CPO) on all the businesses, but councillors did not agree, as the cost would have been very considerable, as the council would have had to pay market value in compensation. In 2016 the eastern end is all car related businesses, but in the last few years at the western end near Norwich Road some low quality residential properties have appeared. With gentrification in Forest Gate some innovative architects are proposing further residential development; as mews type dwellings in wealthier parts of London can be enormously attractive and up market. This mews clearly has potential. Almost opposite the Mews is what the recent owners hoped would become Forest Gate's first £2m house - unfortunately they look unlikely to receive that asking price (see here for full details, and more recent developments). 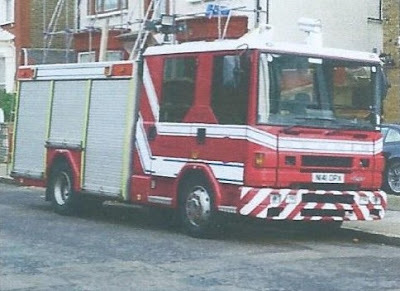 As mentioned, above, there are a number of motor dealers in the Mews and one of them must have bought this Dennis Rapier retired fire engine from the West Sussex Fire and Rescue Service, it was a bit of an anomaly in East London, with its distinctive livery. 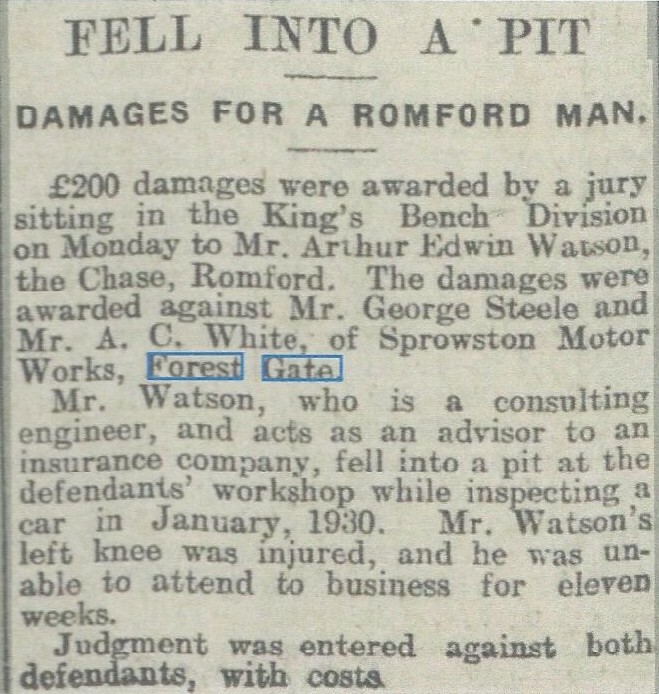 It was not in Sprowston very long. It originally served at Worthing and has recently been preserved by an enthusiast in the south of England. 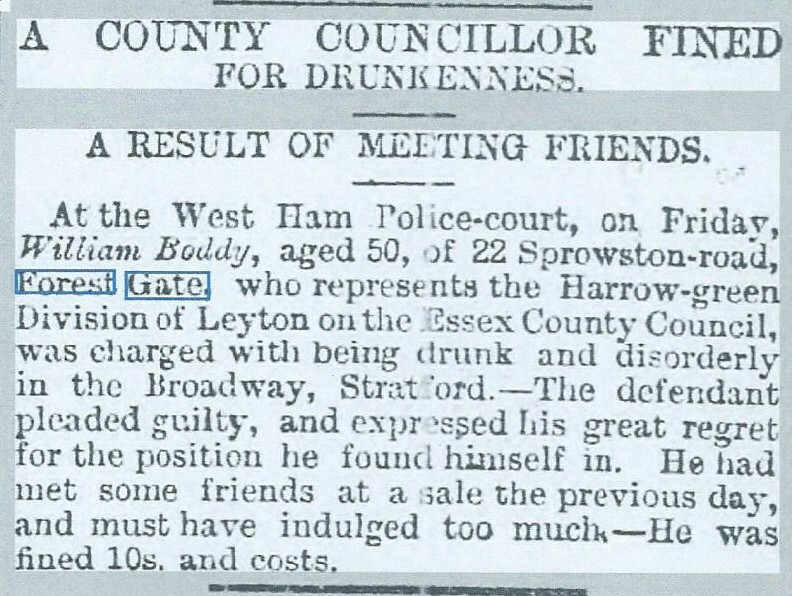 The West Ham machine is now in safe hands, in a millionaire’s private collection in the NE of England. 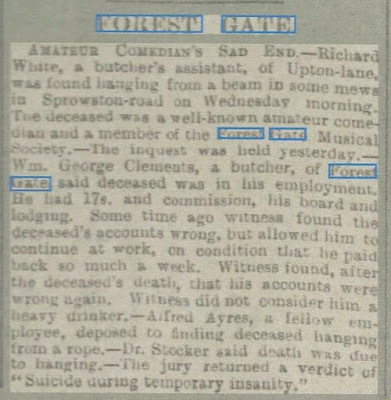 As we reported in our Murdergate blogs recently murder, there was a particularly brutal and pointless double murder near Sprowston Mews in 2003 (see here and here). 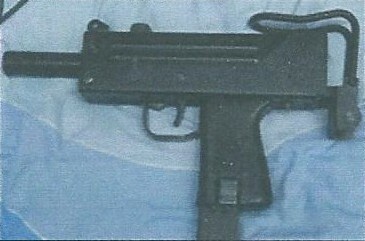 Below is a photo of the weapon used in the killing, and a screengrab from the BBC website reporting on the conviction. William Boddy had been born in Mevagissey, Cornwall, about 1840 and was a retired builder. 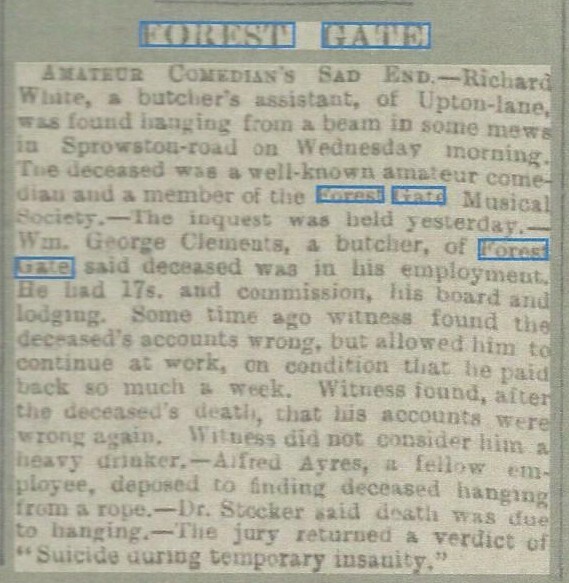 He had migrated to London and had done well.